Hi all, does anybody have any photos of the houses at the top end of Randolph Rd before the prefabs were built, that they would kindly post on this forum? Family used to live there & it would great to see their homes before Hitler moved them on. 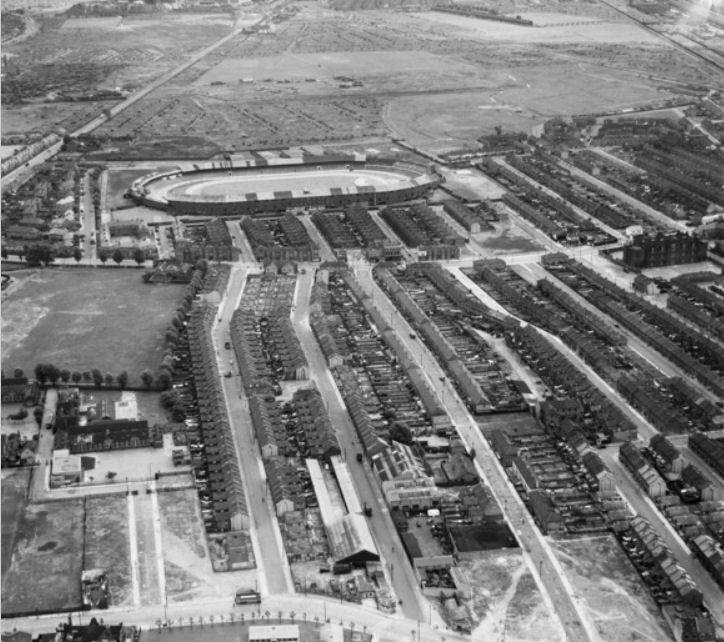 Ken, the only picture I have been able to find so far of Randolph Road is a long distance aerial shot of West Ham Stadium. You can see the houses you mentioned but unfortunately not in detail. Mick G, thanks for the great photo, the photo shows clearly the area of Randolph Rd that I am interested in, but not before Hitler called. Both sides of the road at the Prince Regent Rd end; houses were demolished & on one side replaced with prefabs. It was long shot that these house were photographed, as cameras were not so widely used as today. Ken, The best I have been able to come up with is a group of children standing outside 111 Randolph Road. Obviously this is during the war due to the taped windows. Mick G, another great photo. My father lived at No 109 as a boy, which may have been next door. I notice the metal railings, these were removed for the war effort at the start of the war. No 109 was approx 10 houses up on right side from Baxter Rd. Another memory lane picture that Ken should remember. 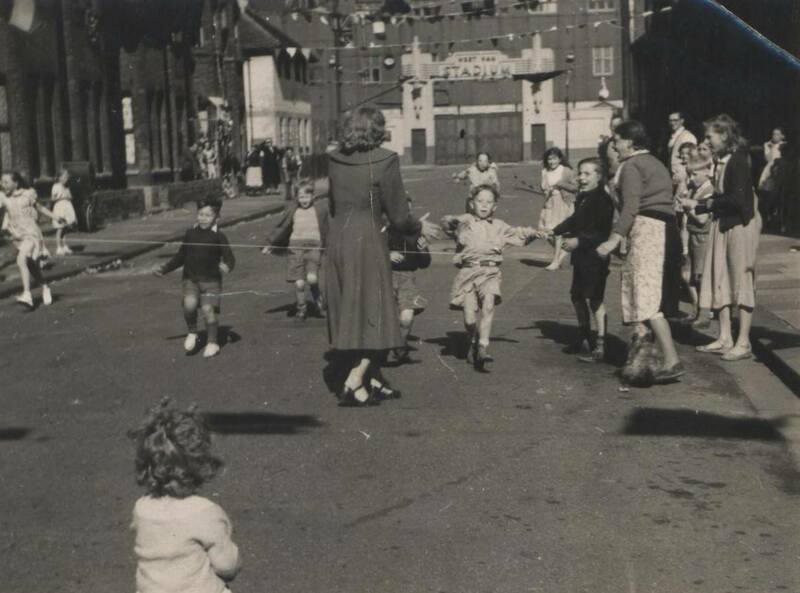 This is Otley Road in the 1950's showing West Ham Stadium in the background. Hi MickG, it certainly brings back many happy times in the stadium. I used to watch speedway & stockcar racing, rarely greyhound racing, although I have been known to have a 2 way bet, the bookies alway won.